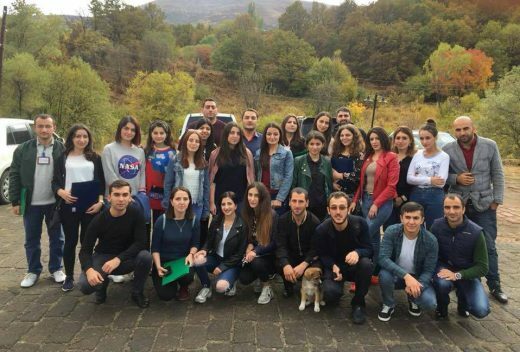 In 2018, on October 10-12, the first stage of the “General Skills of Personal Development” seminar for 30 young people from Tavush and Gegharkunik regions was held in “Arthurs Aghveran Resort” situated in Arzakan village of Kotayk Region. Slavik Alaverdyan, YSU IB lecturer, students Hrant Gharagyozyan and David Gasparyan, graduates Lilit Voskanyan, Anahit Atoyan, Aghavni Ghazaryan, Lusine Amiryan and Shushan Kharatyan took part in the training course dedicated to introducing the concepts, skills, and competencies necessary for self-development. The workshop was organized by the “Oxygen” Foundation and the Armenian representation of “Save the Children International” organization. 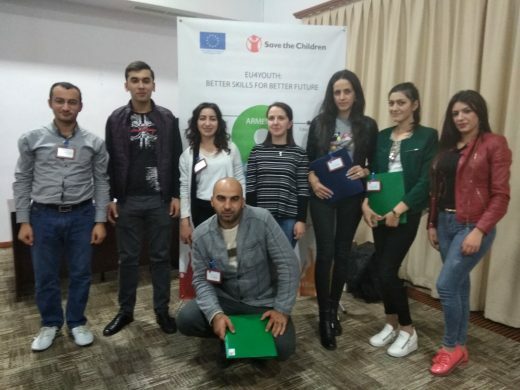 The event was public youth initiative within the framework of the EU-funded project “EU for Youth, Skills for the Future”, implemented by the Armenian representation of “Save the Children International”. 300 young people aged 16-30 from all regions of Armenia and Yerevan participated in the training course. 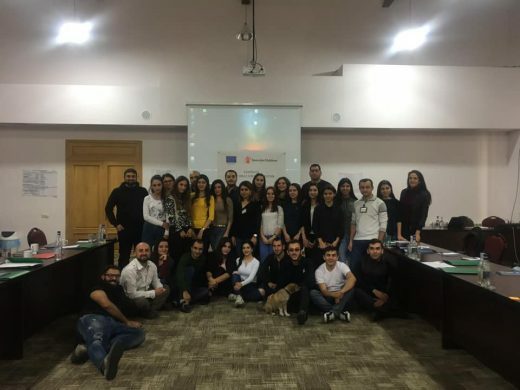 During the three days of training, the participants not only acquired knowledge about self-presentation, team building, communication, and organizational skills, but also acquired new friends and had fun. 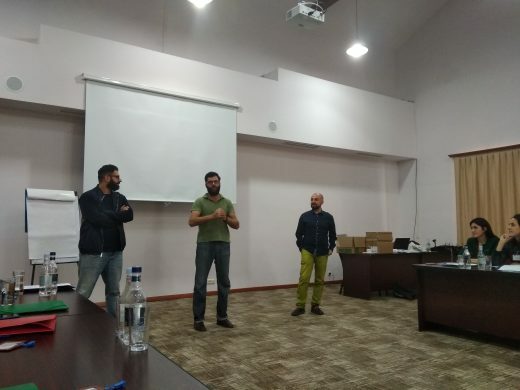 The seminars were conducted by Artak Aloyan, a Certified Management Consultant (Essentials), trainer at American University of Armenia and of a number of organizations and Director of AUA Extension, Candidate of “Economics” Sergey Tantushyan, and Gevorg Babayan, an employee of “Oxygen Foundation”, who was in charge of organizational works. During the training session, participants learned how to prepare for job interviews, how to leave a positive impression on the interviewer or potential employer, and how to navigate tricky and complicated questions and tasks. Participants also learned how to full reveal their componential competence and strength in a timely manner. 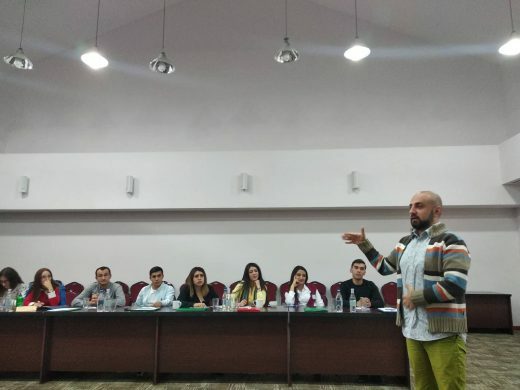 Artak Aloyan worked with students to help them identify types of job interview questions, personal strength and weaknesses as an interviewee, as well as improve both verbal and non-verman communication. 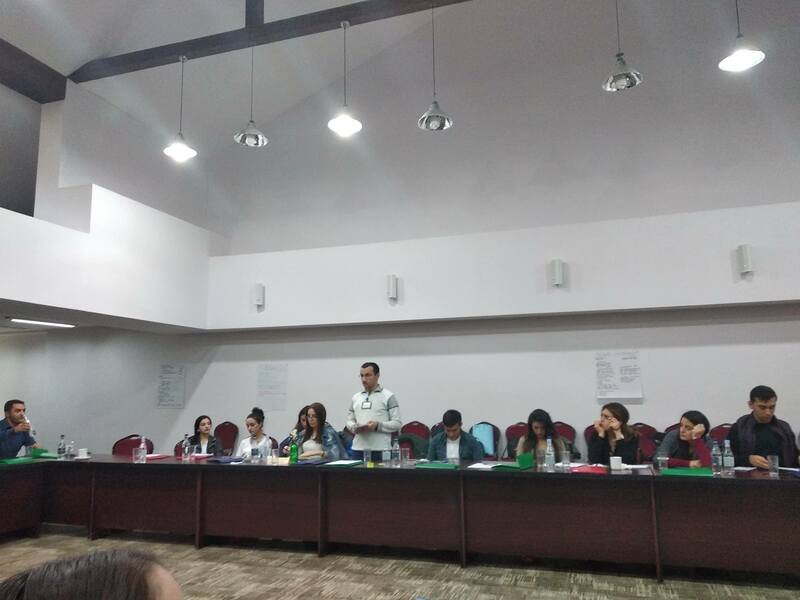 On the first day, the participants conducted personal SWOT analysis, got acquainted with the stages of team building, conflict resolution styles, divided teams and performed a task, presenting group and team-specific features. 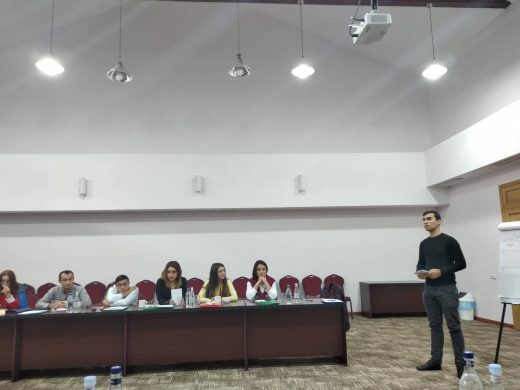 Then Sergey Tantushyan presented the issues of emotional perception, the factors that influence the perception of the surrounding (reality), and frequently encountered emotional mistakes, selective perception, labeling, comparison, and projecting, stereotypical mentality. At the end of the day and in the morning of the next day the seminar on verbal and non-verbal communication continued. 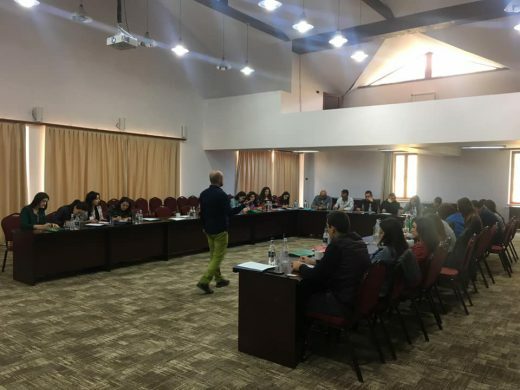 The participants learned 7 “influential” words, got acquainted with the body language and their cultural peculiarities, 3 types of people (watchers, listeners, touching people) and the nuances of persuasion. Artak Aloyan continued the second day of training, presenting communication skills, methods of effective listening and persuasive speech. He particularly mentioned that in order to make the speech persuasive, it is necessary to bring facts and examples, make reference to renowned people or sources, make predictions and reject the opposite viewpoint. Learners applied the acquired knowledge on the spot trying to justify tricky and complicated ideas. Then the trainers spoke about personality branding, CV writing and effective written communication skills. The participants were again divided into teams and prepared CVs and then evaluated the quality of CVs of other teams. 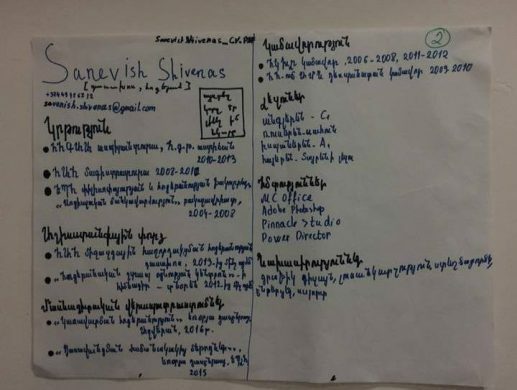 Tantushyan presented such e-mail structure in which the message would be approved by the addressee and the issue would have a positive solution. The participants performed their own task by writing an e-mail on that issue. 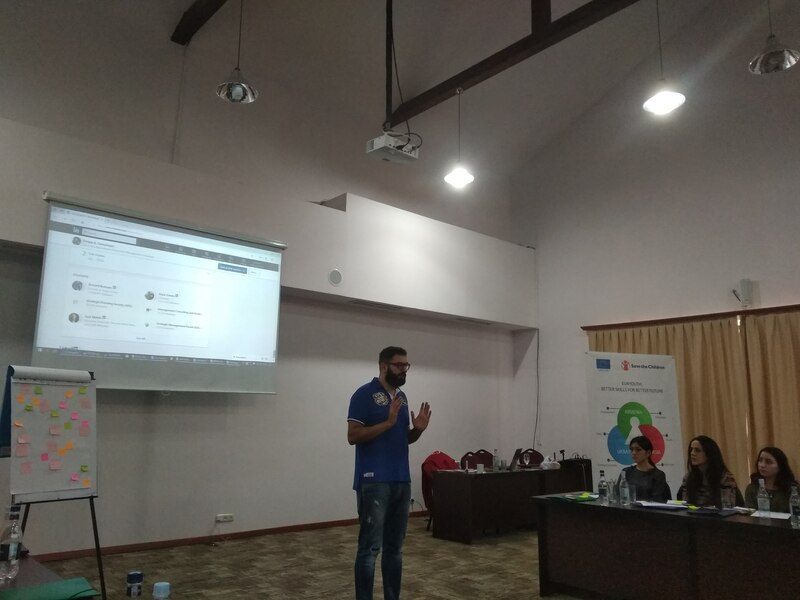 On the third day, A. Aloyan presented the SMART Tool for Identifying the Purpose for effective resource management, Time-Management Eisenhower Matrix and other tools. 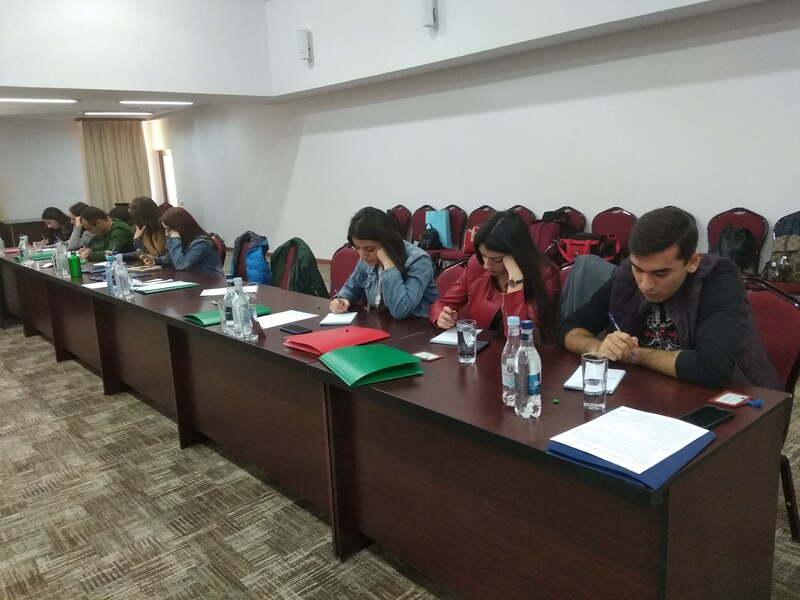 The participants also got acquainted with the principles of preparing for the job interview, personal qualities appreciated by employers, the nuances of making impression, frequently asked questions, work etiquette, and decision-making steps. At this stage, they discussed working situations and offered some alternatives to their solution. At the end, the participants were introduced 8 skills, acquired from non-formal learning. Cultural awareness and knowledge of expressive means. 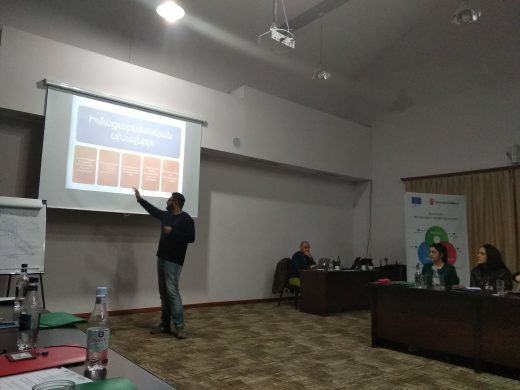 The whole training course was in an interactive and engaging atmosphere. The second stage of the seminar will be held in November, 2018.